Tender perennial, sometimes grown as an annual. 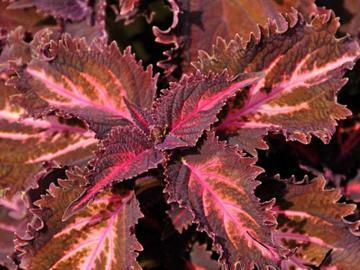 Nettle-like, toothed, brownish-red leaves with brighter red markings and pink veining. Popular variety.